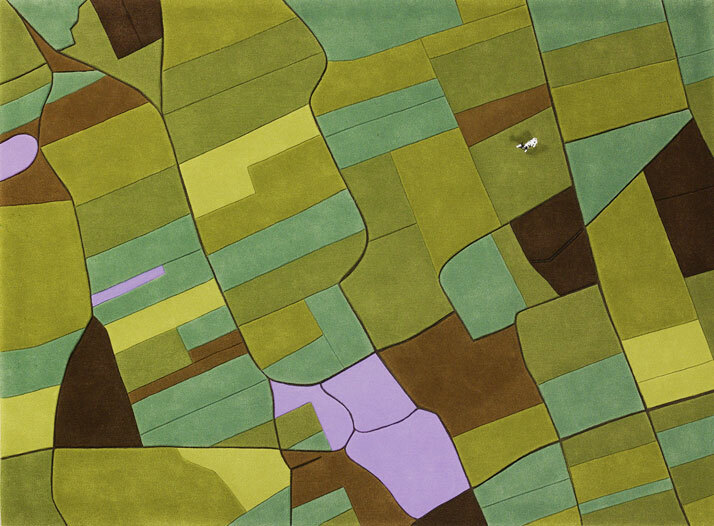 Inspired by real aerial images of farmlands and other countryside landscapes, Beijing-based designer Florian Pucher creates these colourful geometric carpet designs for his ‘Landcarpet’ series. 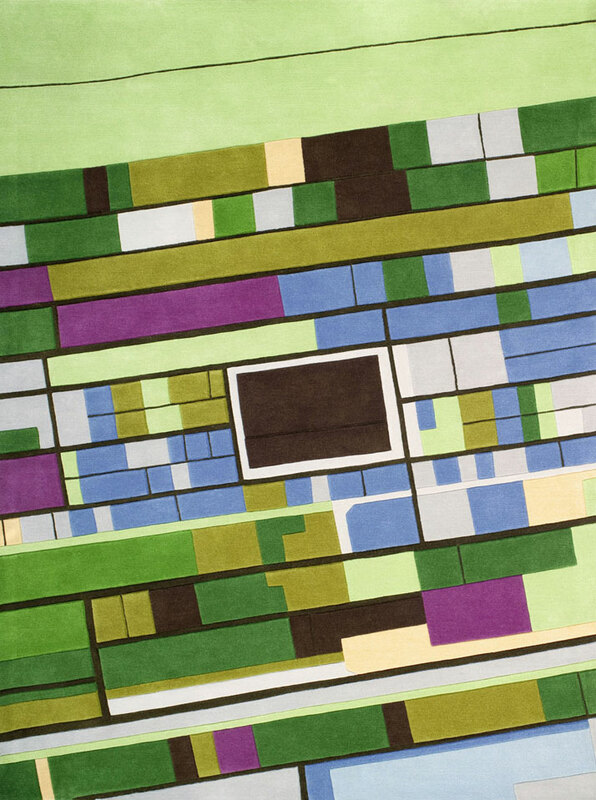 Originally trained as an architect, the Austrian designer began making these carpets back in 2007 in collaboration with graphic designer and business partner Sophia Liu Bo, inspired by how the world looks like from an airplane window. LANDCARPET Bahamas, photo © Florian Pucher. 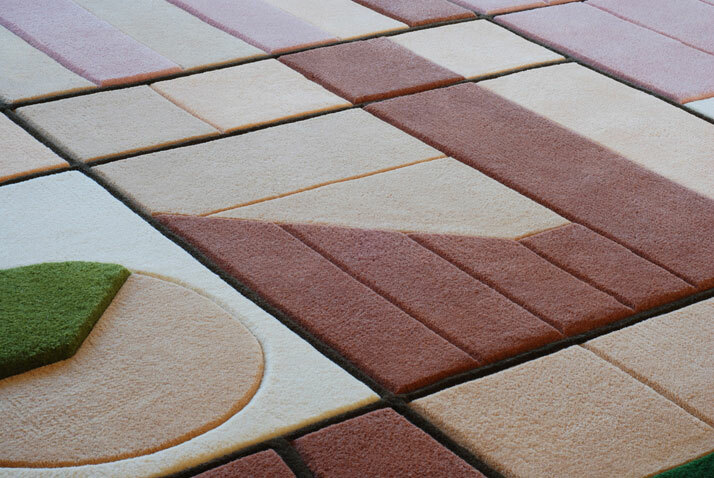 LANDCARPET Bahamas (detail), photo © Florian Pucher. 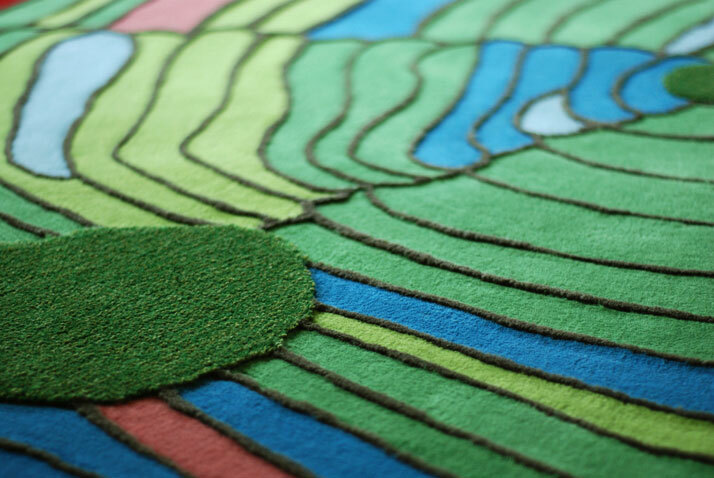 LANDCARPET Europe (detail), photo © Florian Pucher. 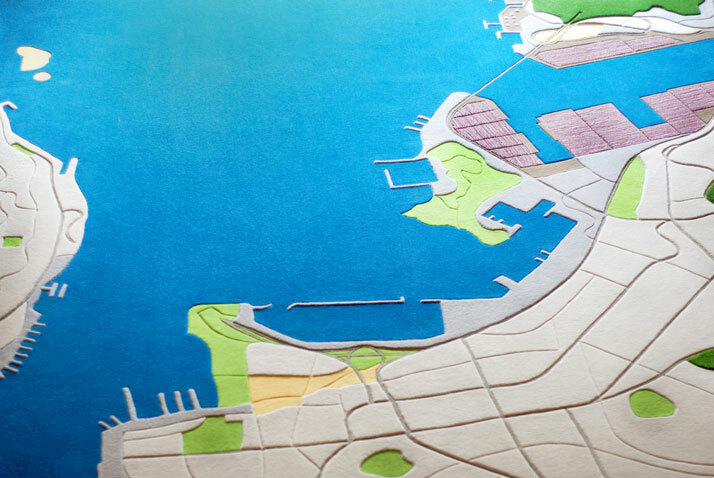 LANDCARPET Hong Kong - Kowloon West Side, photo © Florian Pucher. 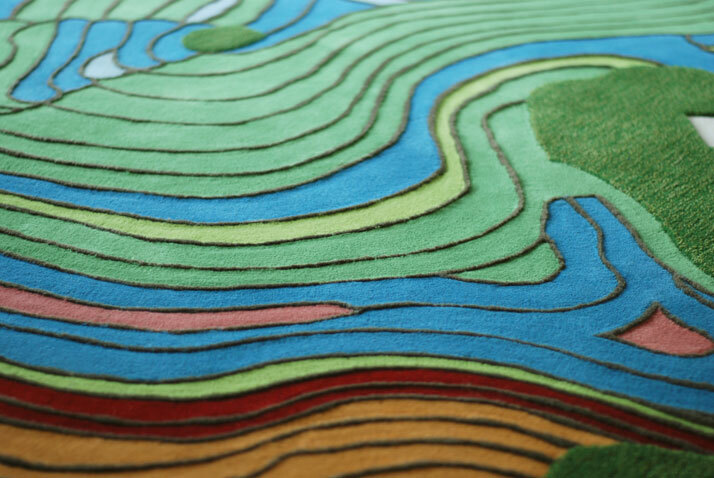 LANDCARPET Hong Kong (detail), photo © Florian Pucher. 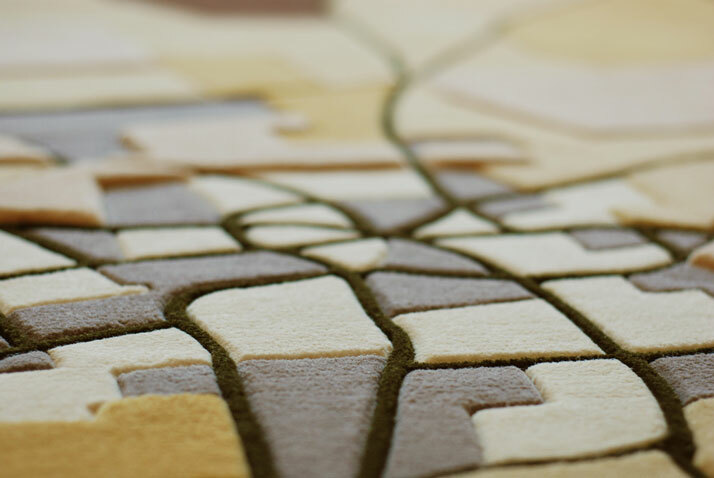 LANDCARPET Italy (detail), photo © Florian Pucher. 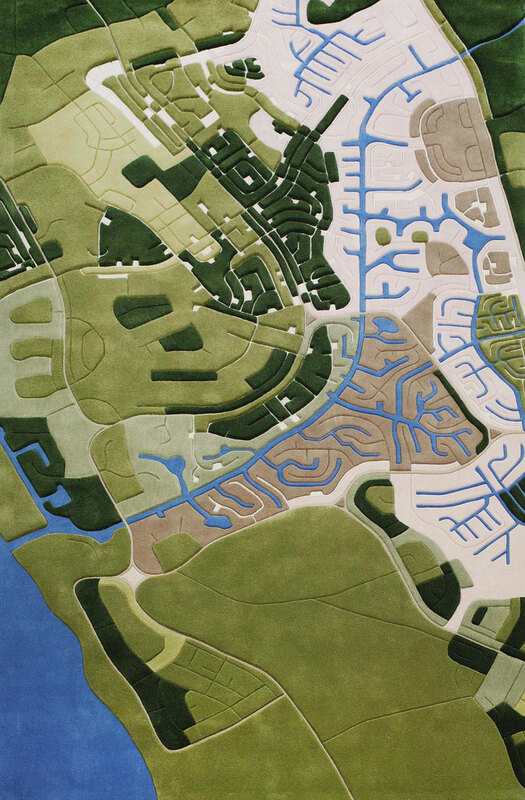 To create his designs, Pucher takes aerial images and then redraws them, focusing on the typical characteristics of the area the image depicts, using for example warm green and brown colours for images depicting Europe, more earthen tones for Africa and so on. 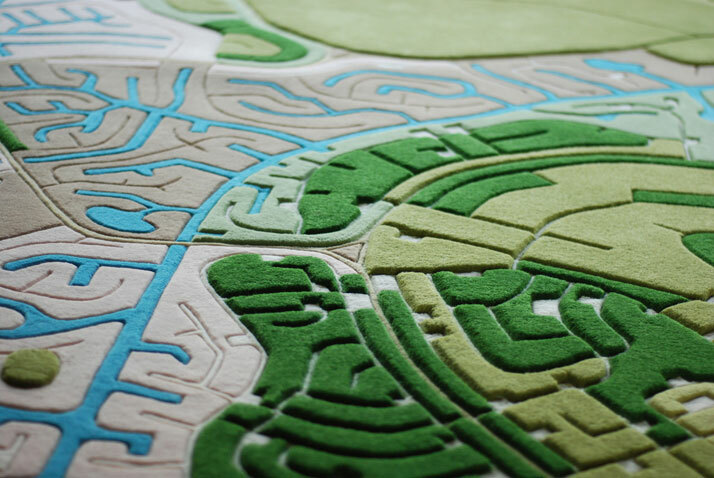 Other patterns in the series include a ‘USA’ theme (in fresh green colours) and the ‘Netherlands’ theme (inspired by the country’s colourful array of flower fields), while a new ‘Asia’ theme is currently underway. 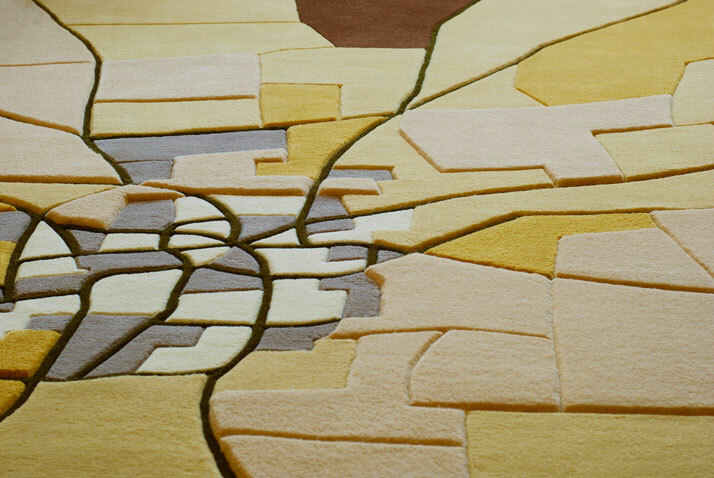 The different ‘fields’ of colour seen in these carpets feature different tuft sizes which adds an element of depth as well as a realistic feel to them, whilst each ‘Landcarpet’ rug is hand-tufted and requires approximately five weeks to produce each one, using superior quality New Zealand wool. 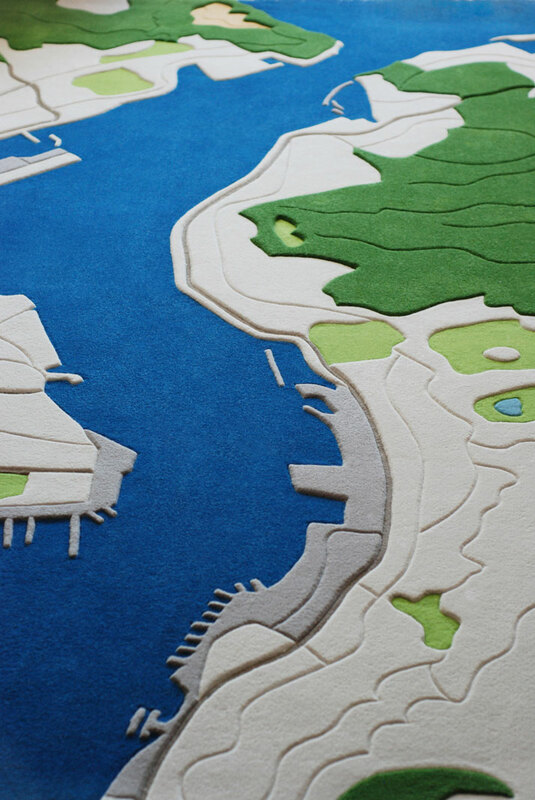 In 2013, Pucher made a more elaborate and limited-edition ‘Landcarpet’ piece depicting the Kowloon West Coast of Hong-Kong, which is now in the permanent design collection of the city’s Museum for visual culture, M+. 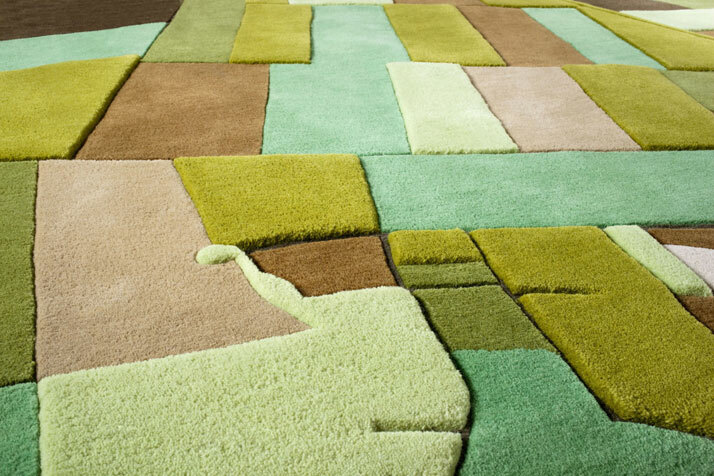 LANDCARPET Italy, photo © Florian Pucher. 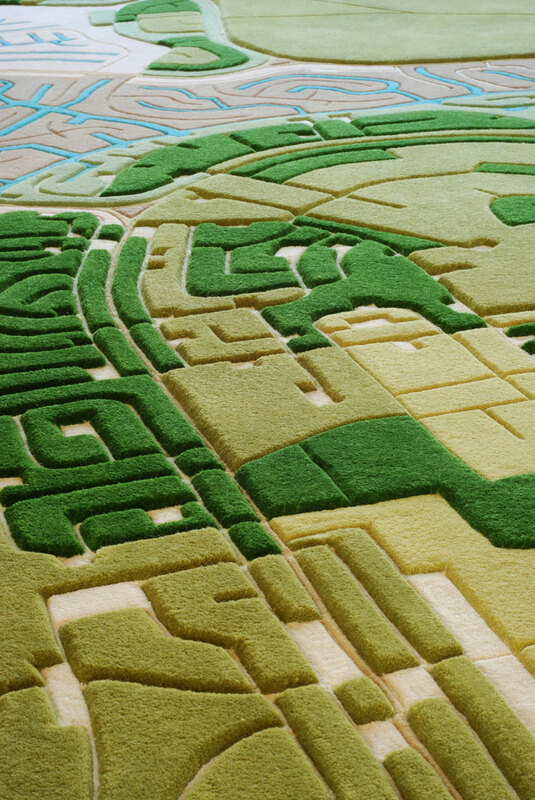 LANDCARPET USA (detail), photo © Florian Pucher. 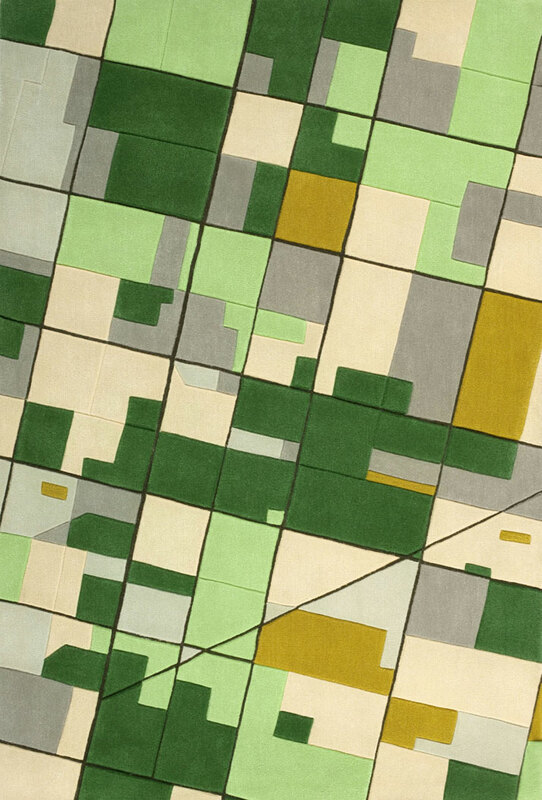 LANDCARPET USA, photo © Florian Pucher. 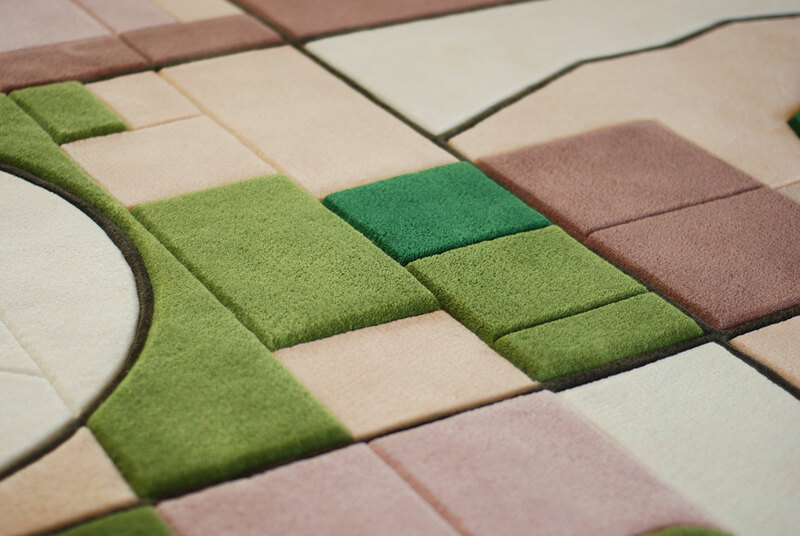 LANDCARPET Africa (detail), photo © Florian Pucher. 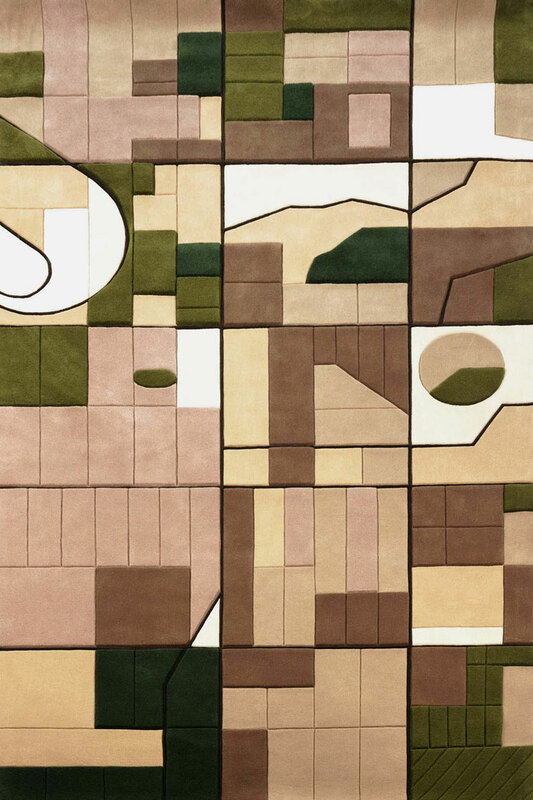 LANDCARPET Arizona (detail), photo © Florian Pucher. 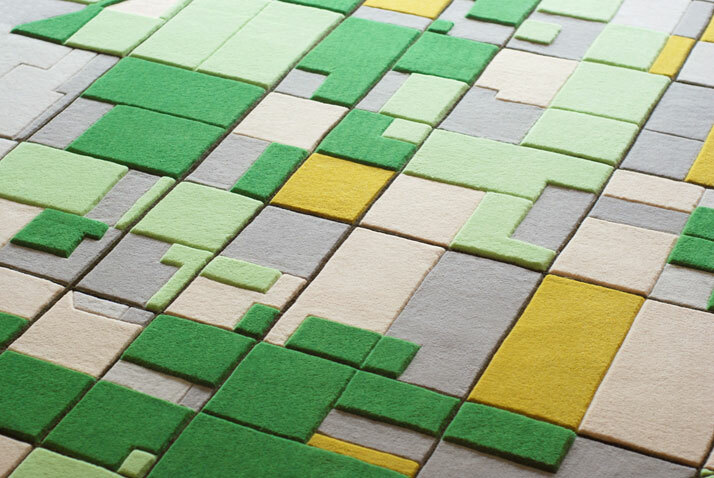 LANDCARPET The Netherlands, photo © Florian Pucher. 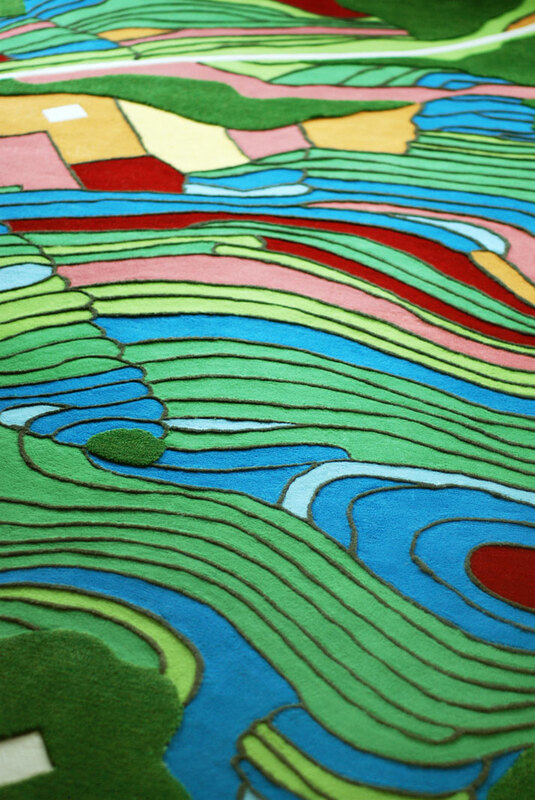 LANDCARPET Yunnan (detail), photo © Florian Pucher. LANDCARPET Yunnan, photo © Florian Pucher. LANDCARPET Arizona, photo © Florian Pucher.